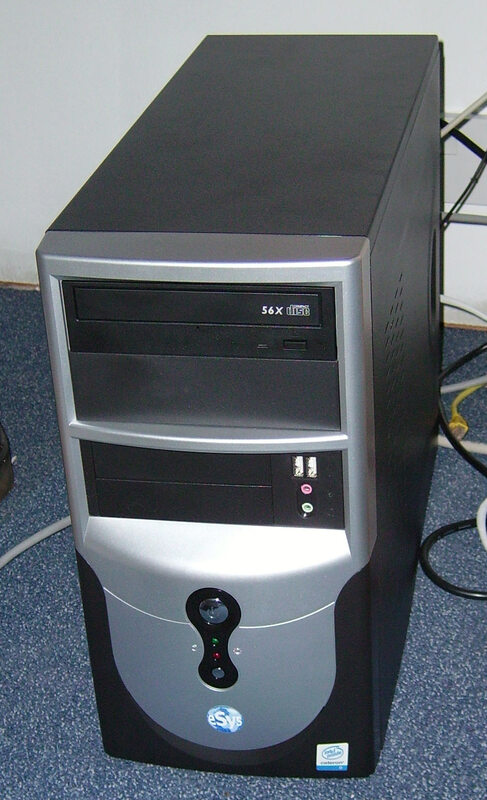 This server used to power the website from 2005 to 2008. 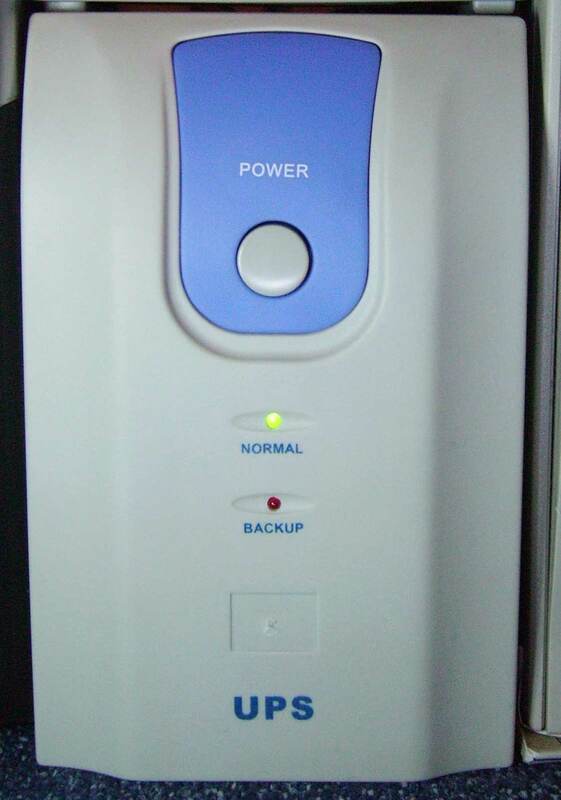 A UPS Battery Backup is useful when the power in your area frequently blacks out or you get a lot of power surges or brown outs (not enough power but some there). They keep your server working when there is no mains power present so your server can continue to work as normal. My UPS is fairly large because it has to power the server and network equipment for as long as possible. 1 hour is the longest outage I have had so far but 45 minutes covers most of them. When buying a UPS, a higher VA rating generally has a longer uptime rating as well. My server uses 100w of the 780w that the UPS can provide. The UPS needs to supply its full rating for at least 2 minutes. Although the uptime reading isnt proportional to load it gives you a rough idea. If you know the battery rating, that often helps too. My UPS holds 2x7Ah 12v SLA batteries. 2x7Ah=14Ah. 100w draws about 10Amps per hour (at 12v), so 14Ah should last roughly over an hour. 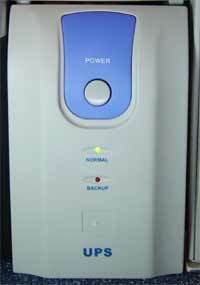 Now because of inefficiencies you can take about 30% of that power away because it is lost as heat. A few Ah of power is also left in the battery because of the voltage cutoff that takes place when the battery gets low. Lets say another 20%, although not wasted, isnt taken into account. That brings you to roughly 45 minutes uptime. As you can see UPS's are not efficient devices, but as long as your data is safe, thats the only important part. FileZilla FTP Server - This is the FTP server that people I host for connect to. This allows them to upload their files to the server which are then accessible through their URL. Abyss X2 - This is the HTTP program and it runs all the websites (including this one) on the server. NO-IP Client - This updates my IP address to a remote DNS server if it should change. This then updates all the domains that connect to the server. Ghost 9.0 Backup - This is the backup client for the websites. It performs daily backups of all the websites. MySQL - This is the opensource database client that runs in the background.